Well, the wife is beginning to tire of my collecting disorder so I am going to have to start thinning the herd. I'll be spending the next couple weeks playing with these three pair of speakers and determining which pair has to go! Have you given any thought to losing the wife and keeping the speakers ? If that is not an option what are the third ones the farthest apart in the picture ? Those would be my choice and I don't even know what they are. hewlew1 wrote: Have you given any thought to losing the wife and keeping the speakers ? If that is not an option what are the third ones the farthest apart in the picture ? Those would be my choice and I don't even know what they are. That was an option, unfortunately, I have more invested in her than the speakers! 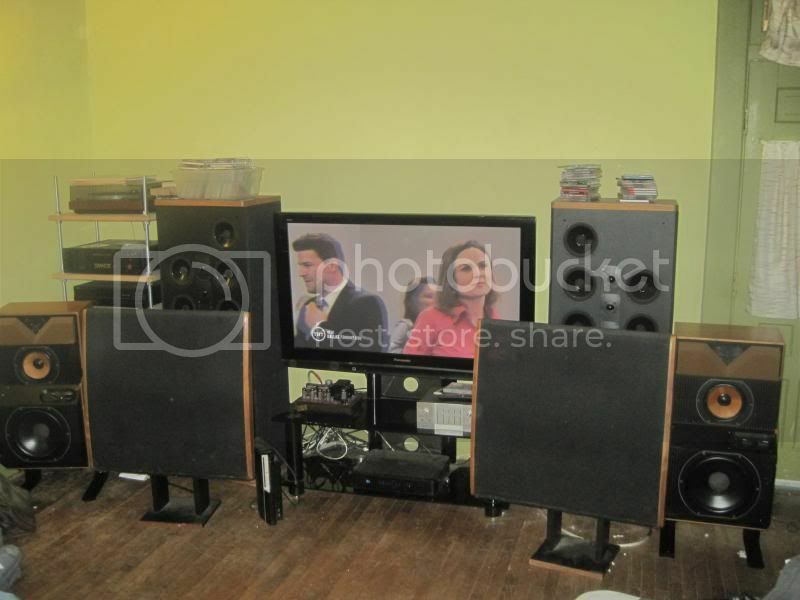 Those are B&W DM6's. The SDA's have been my primary speakers for a while, but my room is a little too small for them to really thrive. I.m sure that whatever you decide,,Harry will be glad to take them off your hands. I love them, but I don't know if I'll ever have a room that will allow them to flourish! How much for the Polks? Sell whichever pair you will miss the least! May be the attic has some room after all...? kingman wrote: How much for the Polks? Probably more than anyone would be willing to pay! I upgraded them to the RDO198 tweets, I bought the Gimpod crossover boards and new caps and resistors for them. Also spikes and the "Larry's rings". I'd have to get about $1500 out of them in order to sell, which may be above market value. Chauss wrote: Sell whichever pair you will miss the least! May be the attic has some room after all...? If I had an attic, that would be an option! Maybe I could swap them for a nice tube Pre! OK....then you maybe CAN sell a pair if you put it that way! Chauss wrote: OK....then you maybe CAN sell a pair if you put it that way! It's always easier to give up something you love, if you can find something to love even more! I could "store" them for you. Promise to let you visit them as often as you want - just bring the wife. We can shop while you catch up!!! !